The site wouldn't let me on yesterday to post what I got from the box... and sadly, my camera and computer still do not agree on getting pictures here. :/ Some nice things, though! The list of what I added is in the logbook. Thanks! RobDean box arrived here yesterday! And has been mailed along today - now heading to Fire_Eyes! Mouslings we'd like to see / We'd like to see Mouslings! Yes please! ...and how about a mousling marching band? Box of Goodwill round 7 sign up thread; The continuing Journey of Sir Forescale and friends. fulfilling Wilderness Encounters by Bears Head Miniatures. Hielan' Coo! I might have to back this one now. Rob Dean Box traveling to Inarah! Camera's still being a pain, so sorry, no pictures. :( But item list in spoiler. I think I succeeded in taking a little more than I put in, but the box is still quite full. :) I also worked on the group paint giant's base. Thanks for including me, and to those down the line, have fun! Rob Dean Box traveling to Inarah! Received the Rob Dean Box! The Pirate and Blossom are Westley and Buttercup from The Princess Bride. 2B and 9S are characters of the same name from the video game Nier Automata. (ninja'd when I paused to check the spelling!) And the Rabbitank is D.Va from the video game Overwatch. Gonna have to get the Rabbitank for the boyfriend; that's his favorite character to play in that game... wonder if he'd want 2B and 9S as well. For myself I need the robot-bunnies and corgis, maybe the godzilla-lizard... ...ninja'd again? I take too long writing posts. @Rob Dean Er... I'm guessing life got in the way? No hurry, but please keep us informed. Maryland, USA Not at this time Not at this time. I just got mine - one full set, plus the D2 book and alternate D20 hat, in the glow green. They look fine. In fact, my only complaint is that the hat is too big to fit in the box the first set ("Warrior") came in. Gotta find a new container for them. *points at avatar* I'm right there with you. Ah, yes, I understand. Makes perfect sense. 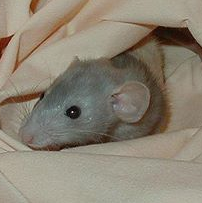 (blue rat temporarily de-lurks) I can't believe no one has asked this: Squeak? That's adorable. Poor little rattie, he just wants a snack. Great, thanks! :) Either place meeting is fine with me. Still looking for a ride to/from the Meet&Greet Wednesday night. I'll be at the Fairfield, but don't mind meeting at the HGI, if needed. Anyone? I have my airport rides arranged, but if I could hitch a ride with someone from the hotel (I'm at the Fairfield) to the Meet&Greet, that would be great.